Everyone knows Batman and Superman, but prepare yourselves to really get to know Wonder Woman. The main two stars of Batman v Superman: Dawn of Justice cover Entertainment Weekly, but it's Gal Gadot and the people behind the scenes of the movie who are really excited for Gadot's female superhero character to finally land on the big screen. "Most of the movies, the men are in charge, the men are the most powerful ones," Gadot tells Entertainment Weekly. "You've had Superman and Batman and everyone, but Wonder Woman was never there." That's all about to change, and Gadot couldn't be happier that her 4-year-old daughter has a heroine that she can one day look up to when she's old enough to watch the movie. "I'm so happy when she grows up she's going to see a female figure she can be inspired by." Gadot isn't the only one who is looking forward to seeing the female caped crusader on the silver screen; Chief Creative Officer at DC Comics Geoff Johns also can't wait for fans to see Wonder Woman come alive on a feature film, and by the sounds of it she's coming back in a big way. "I love when she's hit by Doomsday, and she turns around and smiles, like she hasn't been in a fight like this in a long, long time," says Johns, who is also a producer on the film. "She clearly...she missed it." Over the years there has been a movement in Hollywood to see more female leads in films, which is exactly why Deborah Snyder, the producer of Wonder Woman's future standalone film, is surprised her appearance in another movie didn't come sooner. "I can't get over the fact that she's going to be 75 years old, and this is the first time she's gracing the silver screen," Snyder tells EW. "I think all these things—truth and love and wanting peace and all the things that she represents—is something that we all look up to and would want." Getting Wonder Woman isn't the only treat fans can expect come March 25 when the movie hits theaters; the film is riddled with dream sequences, which often include cameos from other characters such as Ezra Miller's The Flash...but is it really a dream, or could he be breaking through time and space to deliver a warning message? Viewers will have to decide, but director Zack Snyder is hoping this "giant Easter egg" will launch endless theories on the Internet. Given the state of social media and the passion of comic book lovers, that is definitely going to happen. 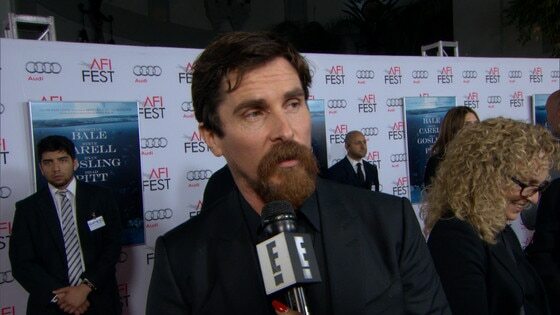 Hear what former Batman Christian Bale has to say about Ben Afflecktaking over the role. Does Christian Bale Like Ben Affleck as Batman?